Creating a roadmap for all Michigan students to achieve and succeed. 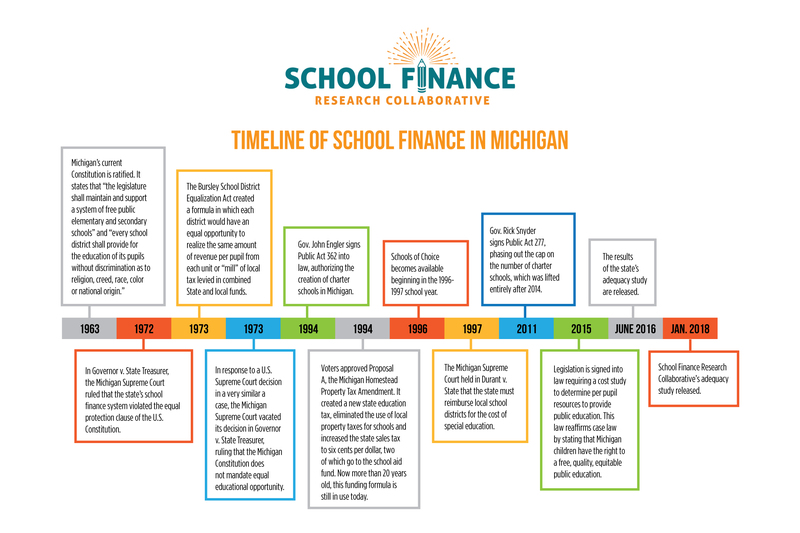 The School Finance Research Collaborative has completed Michigan’s first comprehensive school adequacy study, providing a roadmap to fixing Michigan’s broken school funding approach and making it fair for all students. Many of Michigan’s public schools are struggling to meet student performance standards, and our students will continue to fall behind if our school funding approach doesn’t address their wide-ranging needs. The School Finance Research Collaborative study has determined the true cost of educating all students to make the way we fund schools more fair. Business leaders, school experts, parents, students and leaders from both parties agree: A new, fairer school funding approach is needed that addresses every student’s unique and individual learning needs.